What You Can Do To Prevent Food Poisoning at Home? According to the Academy of Nutrition and Dietetics, adults ages 65 and older have recently become more vulnerable to food poisoning and are strongly advised to take extra care when handling food. However, the recent consumer survey data of the U.S. Food and Drug Administration have shown that the way older people practice safe food handling are less consistent. Brighton Cornerstone Healthcare, a trusted provider of home health care in East North Street Madisonville KY, sees this as a pressing concern especially because this can happen at home. Older people already have health problems that impede them from doing things right and these may be something out of their control. Today, we share to you ways on how your elders can prevent food poisoning at home. Food poisoning happens when the food you eat is contaminated. Most cases are often not serious but if left untreated, it can be fatal. Most foods that have been reported by elderly poisoning are contaminated by bad bacteria such as E.coli, salmonella, and other different kinds of viruses. However, food poisoning may not only affect their health but may also worsen their current health conditions. How? Once they have contracted food poisoning, they would need extra medications. Some medications, may it be OTC or prescription drugs, can aim at their immune system. If their immune systems weaken, it would be harder for their bodies to fight off bacteria and serious illnesses. Plus, it can worsen situations for those who already have compromised kidneys. People ages 65 and older have been diagnosed with a secondary or multiple conditions such as arthritis, osteoporosis, heart disease, diabetes, and cancer making them take multiple medications. These already weaken the immune system making them more susceptible to food poisoning. The indications of food poisoning may start from a few hours after to several weeks later the incident. If you notice that your elderly loved ones are vomiting, experiencing diarrhea, nausea, appetite loss, muscle aches, chills ,and stomach cramps, you should bring your elderly loved ones to the doctor at once. One of the age-related conditions that are common among elderly people is vision loss. If your elders already have impaired vision, it is highly dangerous for them to handle food without their glasses on. Always remind them to take their time in dealing with ingredients and food in general. As aforementioned, they are already having trouble with their sense of sight. The next problem often follows with the lighting around the house. It is very important for elderly loved ones’ houses to have proper lighting especially high traffic areas. Install night lights as well. Your elders should have easy-made dishes which should also be nutrient-rich. This could save their time in preparing them, have lesser chances of food poisoning, and save their energy for the clean-up. For instance, frozen vegetable that are pre-chopped are convenient. It is very important that as they go to the grocery store and find ingredients for their food, they should be able to understand the labels correctly and clearly. If they have already used the ingredient for some time, the labels should be made clear like with a marker to embolden the date making it easier to read. Memory is not option for they can be deceiving especially at this point in time. Leftovers might still be eaten later or the next day. It is important to refrigerate the leftovers to avoid mold and bacteria contamination due to moist in the air. Choose the right foods to reheat. Get the proper temperature and always use a food thermometer to check on the doneness of cooked foods. Doctors have recently advised that there are some foods that could be poisonous when reheated. Ask your doctor on what foods they should or should not reheat. Get help for your elderly loved ones today! Call Brighton Cornerstone Healthcare, a reliable provider of home health care in East North Street Madisonville KY! 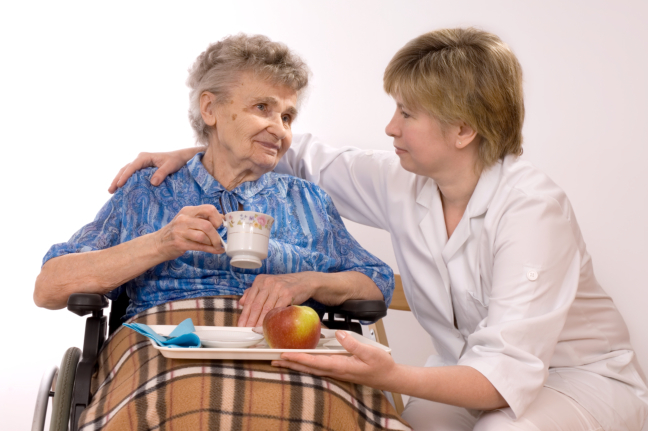 We provide the finest services for seniors that they surely deserve! For more information, you can also visit us or let us hear from you through your comments and suggestions below! This entry was posted in Health Care and tagged Hospice Care, nursing care, personal care, respite care. Bookmark the permalink. Brighton Cornerstone Healthcare serves the residents of Madisonville, Kentucky.